The visionary reggae musician Augustus Pablo was part of a small group of creative souls whose approach to recorded sound indelibly changed the shape of Jamaican popular music, and the repercussions of his ingenuity have echoed far beyond his native land.Although best known for his mastery of the melodica, easily being the world’s premier exponent of that peculiar instrument, his musical skill was not limited to merely conquering the hand-held child’s toy. 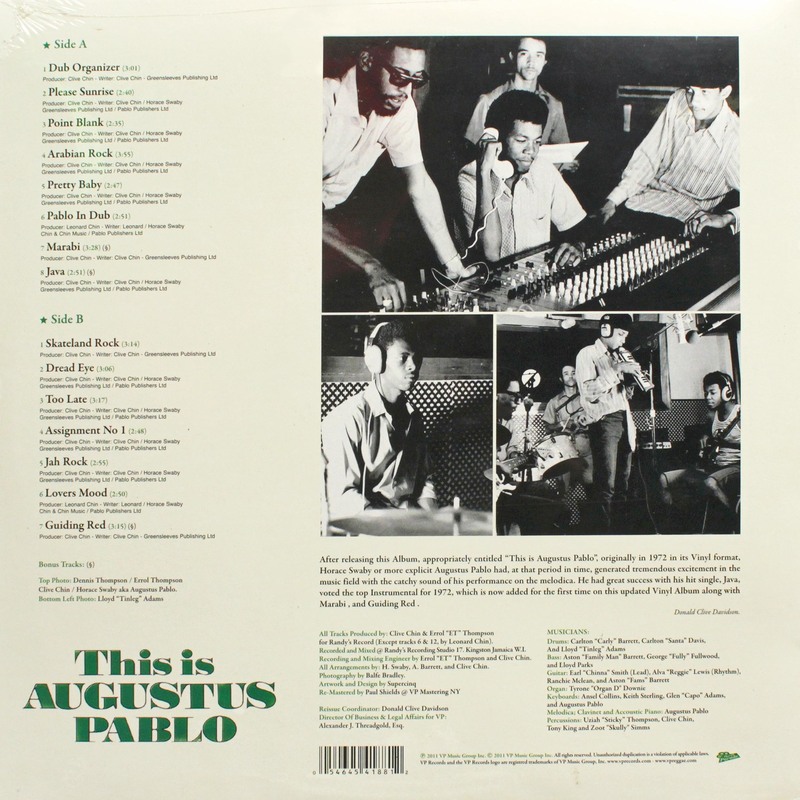 Indeed, Pablo was a pioneering record producer in his own right, as well as a renowned session keyboardist. 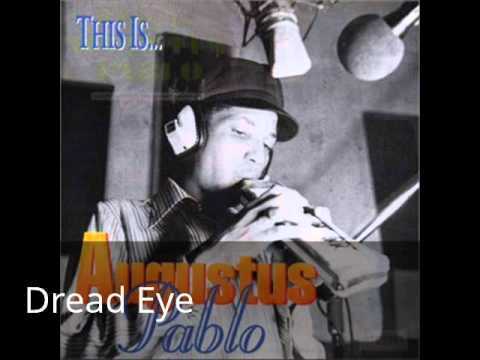 His uniquely spirited instrumentals, most of which took inspiration directly from his profound belief in Rastafari, took reggae music to a higher plateau, and the mournful quality of Pablo’s ‘Far East’ sound resulted in some of the most striking moments of the roots reggae era. After releasing this album. 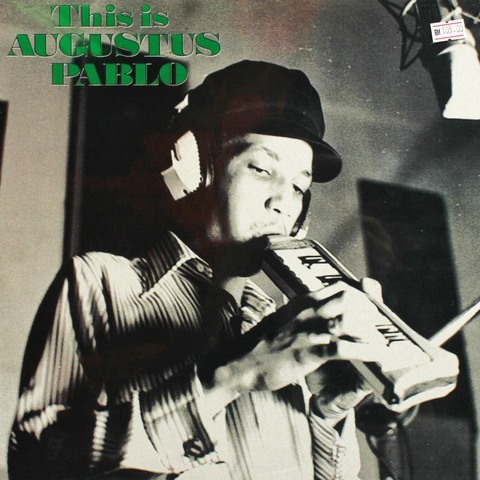 appropriately entitled "This Is Augustus Pablo", originally in 1972 in it's vinyl format, Horace Swaby or more explicit Augustus Pablo had, at that period in time, generated tremendous excitement in the music field with the catchy sound of his performance on the melodica. He had great success with his hit single, Java, voted the top instrumental for 1972, which is now added for the first time on this updated vinyl album along with Marabi and Guiding Red.